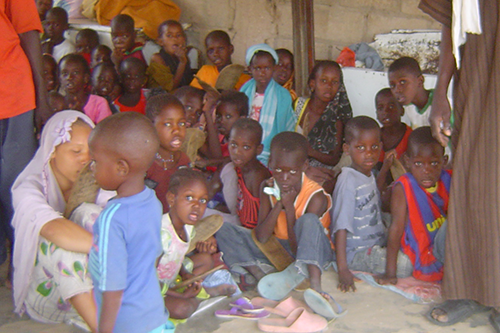 Talibés are young children who are sent to learn the Koran from a marabout (a religious folk teacher). In return for their bed and board, the children are expected to beg on the street and from door to door to get food and a daily financial contribution for him. Often they are housed in very bad conditions, which make them more likely to catch malaria and other illnesses. For some years we worked with worked with our representative in Rosso, southern Mauritania to provide basic medical aid and mosquito nets to the local Talibés. We understand that the situation of these children will not get better until the system they are in changes. We are working closely with their families and the local marabouts to find ways in which we can improve their day to day life.